Quick. What a wonderful word. Anyone else loving the holidays but also super burnt out?? It’s almost the end, it’s just around the corner. While I’m ready for a breath of fresh air until the next holiday rolls around, I’m trying to take in the last of the holiday joy. And by joy I mean quick and easy recipes. 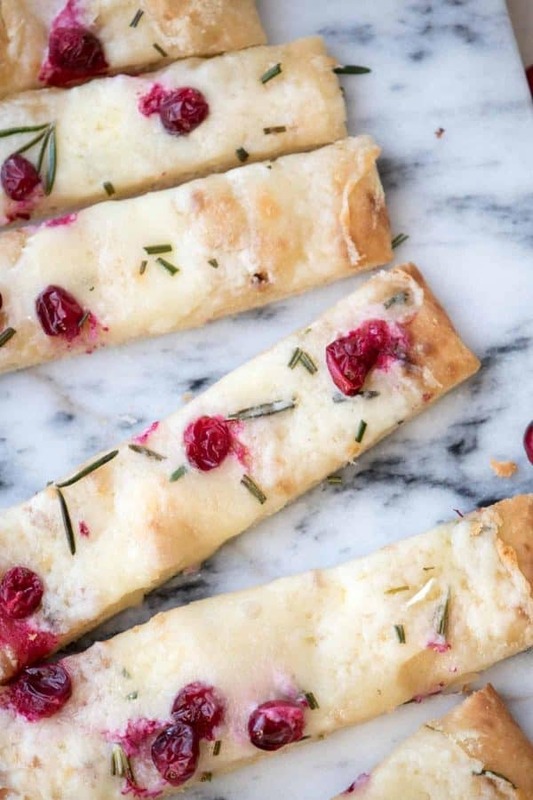 Like this Quick + Creamy Cranberry Brie Flatbread. There was a lot going on this holiday. A lot. Are you with me? I’m sure you are. This Christmas Spice Cake with Eggnog Frosting was on the table, not with out a few attempts at the buttercream because what are the holidays without a few, “Why did I think that would work?” moments. (For the record, don’t add cold eggnog and cream to room temp butter and expect smooth buttercream. Palm meet face.) A shaved version of these Pancetta Roasted Brussel Sprouts graced the table along with a prime rib and potatoes au gratin. But when faced with needing an appetizer, I wasn’t stressing. Pulled a cranberry brie flatbread straight out of the freezer and let it thaw before baking it off, slicing and up and digging in. Sigh. Simplicity goals. To be honest, you’ll probably be waiting longer for the oven to preheat than it takes to put together your Cranberry Brie Flatbread. The key? Those delicious naan style flatbreads. Premade and ready to go! They crisp up real nice in the oven so it tastes like you’ve been proofing that dough overnight. While not required, but it’s recommended to peel the rind off the brie. Then you can just use your hands to ‘tear’ the creamy brie into pieces small enough to scatter over the mascarpone. Oh, wait. I didn’t mention the mascarpone. 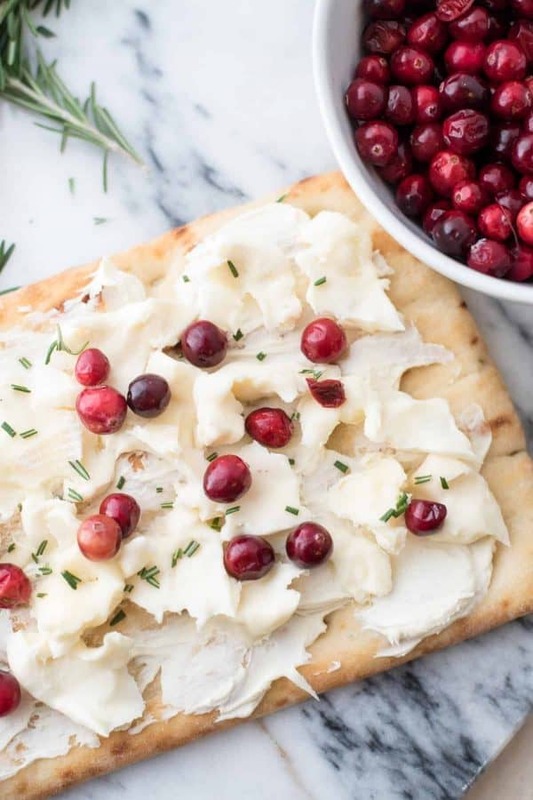 The sneaky creamy cheese that’s bringing a boost of richness to this no fuss cranberry brie flatbread. Back of a spoon. Spread it on. Done. We can get down with that, right? Bonus trick/tip: want fresh chopped herbs but the idea of pulling out a cutting board and knife is moderately nauseating? Keep the dishes in their cabinets because all you need is a pair of kitchen shears. Just cut the leaves from the rosemary spring in little pieces. You’ll have chopped rosemary in seconds. You like tasty things, that’s why you’re here right? I like to think so. As much as I’d like to think it’s my charming personality and occasional humor, you’re really here for the food. It’s ok, me too. 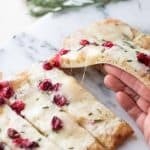 Today, let’s show up for the simplicity of this Quick + Creamy Cranberry Brie Flatbread that is ridiculously good and easy. The naan style flatbreads have just the right amount of chew and crisp up with a perfect crunch. The mascarpone cheese is mild but provides a base layer of creamy cheesy bliss that will keep the soft, flavor boosting brie in place. In each chew you’ll get a taste of savory cheese with a burst of tangy sweet from the fresh cranberries scattered across the flatbread. On the end of each bite, fresh rosemary brings holiday flavor that is clean and warming. 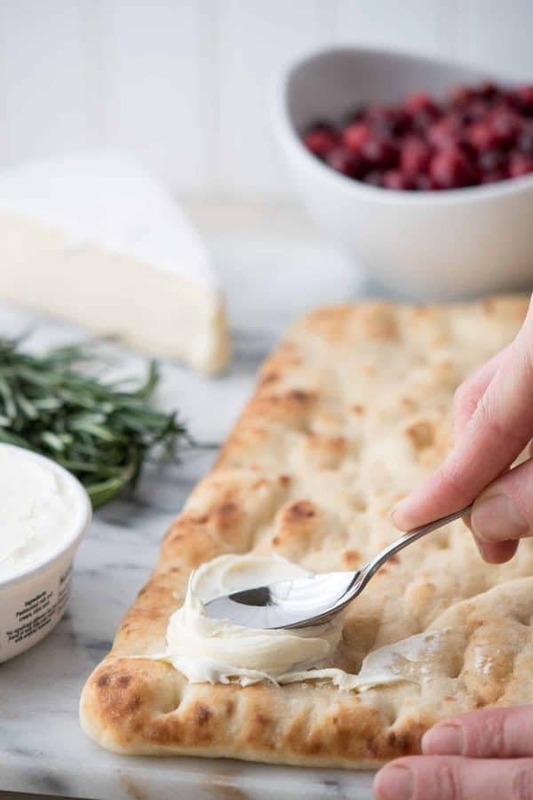 And as good as it tastes, it’s going to feel twice as good when you’re prepped, baked, and snacking on your cranberry brie flatbreads in 20 minutes. So while we’re stressing about New Years Eve plans, what to bring, or what to feed the family when there’s nothing on the fridge and the house is still a war zone from the last holiday – be kind to yourself. Take it easy. Make it simple. Make it quick and creamy. 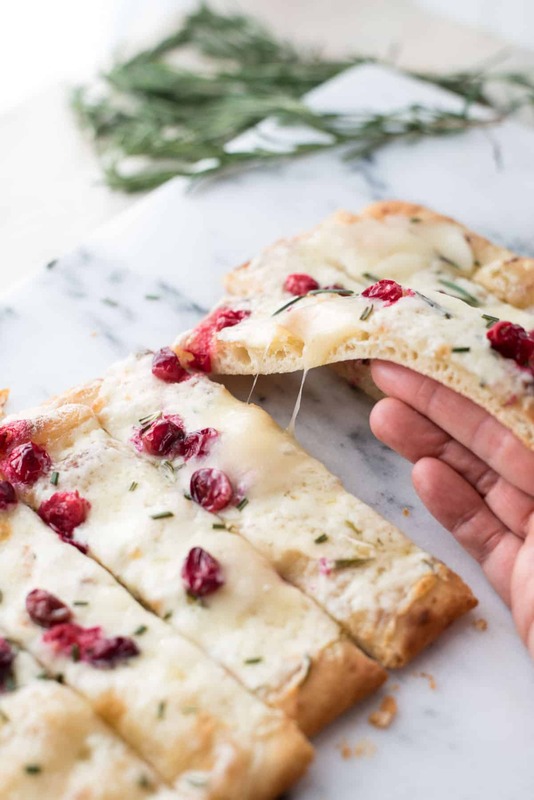 Seconds to throw together, this quick + creamy cranberry brie flatbread has all the good things. 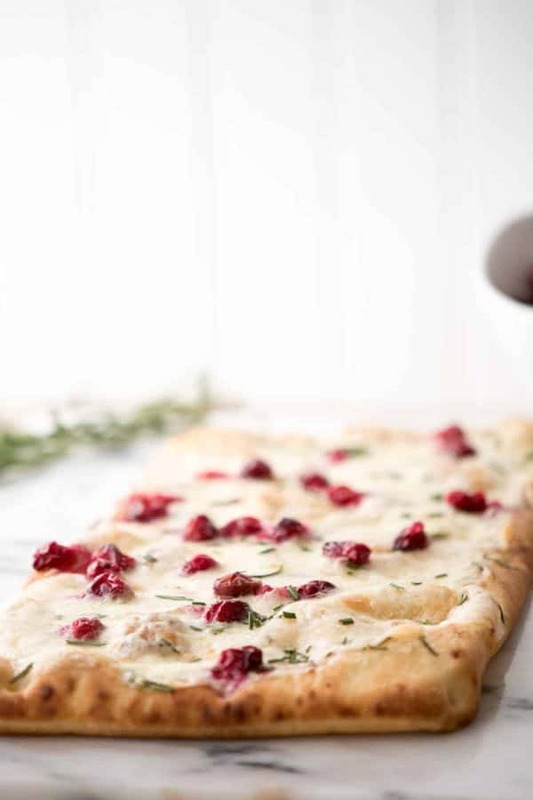 Gooey brie cheese, creamy mascarpone, fresh herb flavor with a pop of cranberry tang on a pre-made crust. Preheat oven to 425°F. Pull out a sheet pan large enough to fit both flatbreads or two small sheet pans. On each flatbread: spread 1 tablespoon mascarpone and 3 ounces of brie – you will need to break the brie into smaller pieces. Sprinkle with ¼ cup cranberries and half the full amount of fresh chopped rosemary. ¹To save time chopping, use a small pair of kitchen scissors or pruning shears to cut the rosemary leaves right of the stem and onto the flatbread. ²For a super crispy bottom, cook directly on the oven rack with a sheet pan below to catch any cheese that make drip off. These flatbreads can be made in advance, wrapped and frozen. Thaw before cooking. Reheat in oven for 5 to 7 minutes. I was a lucky taster of this bread and it did not disappoint. Delicious! Oh my gosh, these look incredible! I love brie and cranberry and flatbread and mascarpone – so many amazing things together! 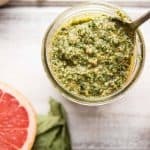 Is there another herb besides the rosemary you could recommend? Certainly! I think that sage would be a nice substitute. 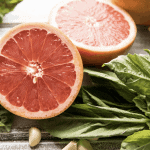 Or even basil if you wanted a really mild, sweet herb flavor. Personally I wouldn’t recommend the lavender with the cranberries, but mint would probably work. Basil would be a nice substitution for the rosemary too. Your instructions don’t mention the marscapne although you have it in the ingredients. Oh my! Thank you for picking that up. Sometimes no matter how many times you read something, there’s always that thing you miss. It should be 1 tablespoon of mascarpone per flatbread. Sorry for the inconvenience! 1 TBS of mascarpone seems like it would not be enough for one of those flatbreads. The pictures look like there is more than 1TBS on there. Is that maybe a typo? The original recipe is 1 tablespoon of mascarpone per flatbread. If the cheese is softened if spreads really easily (maybe thats why it looks like more?) . If it’s not softened it might take more to cover the flatbread. More mascarpone cheese would only add to the recipe IMO. #teamcheese . 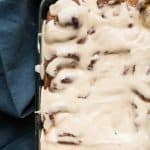 Can I use cream cheese instead of Marscapone? Cream cheese will have a much tangier, stronger flavor than cream cheese. I’d recommend sticking with mascarpone as the cream cheese flavor might overpower the brie. Regular cranberries were too sour so I used sweetened dried cranberries and it was a great appetizer. Yum! That sounds delicious too! Do you think fig would be good? FIG WOULD BE AWESOME! Sorry for the caps, but I really love fig. I might switch up the herb though. Rosemary could be a little strong – maybe a little thyme? I would soak the cranberries in sugar prior to using. Fresh cranberry is very sour and unappetizing. Hi Stacy! I’m sorry the fresh cranberries weren’t your cup of tea. You could also try substituting dried cranberries next time, if you’re wanting something sweeter. Personally I love that tart fresh cranberry flavor but I know everyone’s tastes are different. Thanks for checking out the recipe! I’d recommend them served hot if you want the cheese gooey and melty, otherwise definitely bake ahead! This will be a perfect Christmas breakfast recipe: it is so easy to make and each guest can make their own. What a fantastic party appetizer! I love the mix of cranberries and brie and appreciate that this comes together quickly but still looks so pretty and presentable. Great recipe! This is perfect party food. I love how easy and quick this comes together and I love the combination of brie and cranberry. Perfect! I love this idea for an appetizer! So festive for the upcoming holidays! This is one of those last-minute recipes that look super impressive and take, like, the least prep time! A lifesaver during the holiday season! LOVE the pictures! Oh my gosh, what a great looking flatbread, perfect for any get together or just enjoy with family at home. Perfect for any holiday season. 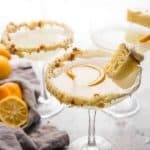 This is so clever, what a great quick and easy slice of deliciousness to whip up over the Holidays. Especially loving the fresh cranberries! This is a beautiful flatbread. The brie and cranberry combination looks fantastic. This will be perfect for entertaining this fall. This is such a gorgeously elegant flatbread! I adore this flavor combination. 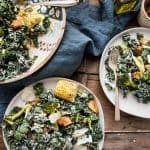 This dish would be perfect for easy holiday entertaining. Yum! Brie has got to be one of my all time favourite cheeses, but I can’t say I’ve put it on flatbread before. That needs to change, stat! And with cranberries coming into season, this is the perfect excuse to give it a try. Cranberry and cheese is a big YES from me. And I love how easy this is to make. Looks absolutely incredible in every way. You mention that you pulled it out of the freezer…I assume that means it freezes well? This would be great to make ahead and freeze. Hi Sue – I would prep all the ingredients and assemble the flatbreads, freeze, then when you’re ready to make it let it thaw at room temp for about 15 minutes (or while the oven preheats) then bake it. Should make things a little easier during the holidays! This was delicious! I used homemade cranberry sauce in place of the cranberries and it was perfect! Next time I will use more cranberry sauce and rosemary! This was a big hit! Thanks! My pleasure! I’m so glad to hear you enjoyed this, it’s definitely a go to favorite here! Loved it! I made it for thanksgiving and it was a hit! Have you tried this without the marscapone? Hi Chantal – I have not tried it without the mascarpone. You certainly could. The brie is melty and creamy, the mascarpone just adds a mild cheese layer to up the cheesy goodness! I just took this put of the oven and it’s making my mouth water…it smells AMAZING!! Wait… Just took a sample bite and I’m not gonna have enough for my party cause I can’t control myself! Sooooo happy to hear Stacey!! I am wondering do you cut up the Brie before you put it on the flat bread? Are you laying just little chunks on the flat breads? Or do you heat it up first to also help it to spread? I cut off the rind of the brie and then break it apart into pieces, scattering it over the flatbread. Brie is a pretty soft cheese so it would be a little difficult to cut into pieces. It will spread as it cooks in the oven. Do you think goat cheese could be used to replace the Brie? I made it with Brie once and it was a hit but I was thinking of switching it up. I LOVE this flatbread appetizer for so many reasons! #1 is that it’s the perfect bite – all the right ingredients. Taste isn’t the only thing going for it – it’s quick and easy with great eye appeal. It can be put together in advance, so all you have to do is pop it in the oven when your guests arrive. Pairs nicely with chardonnay…but prosecco or champagne would elevate it further yet. Note: Don’t leave out the rosemary – it’s worth a trip to the grocery if you don’t have it on hand. It’s the perfect complement to the other components of the dish. Thank you Karen! I love your wine pairings too! Those would be great complements! Appetizer looks wonderful Marscapone cheese will be fine but just need something in place of Brie.